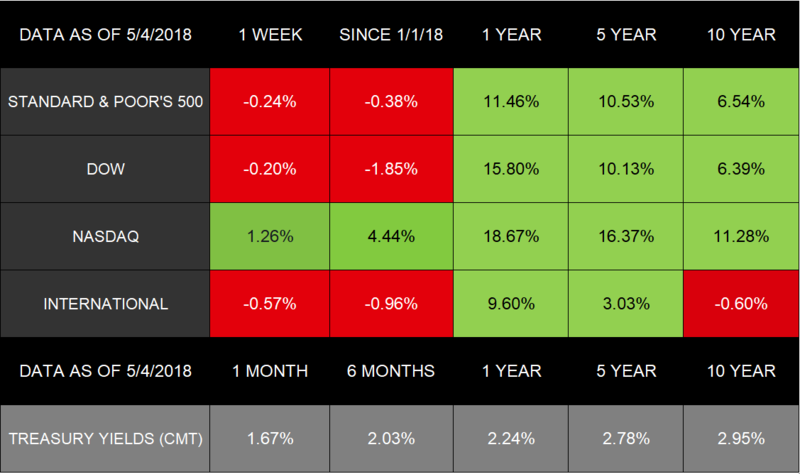 As the bull market lumbers toward its 9th year, many reports continue to indicate a solid economy.13https://www.bloomberg.com/news/articles/2018-05-04/nine-days-one-signal-u-s-economy-is-doing-fine-if-not-great If the economic expansion continues through July 2019, it would be the longest in history (with records going back to the 1850s).14https://www.bloomberg.com/news/articles/2018-05-01/as-u-s-expansion-hits-endurance-milestone-here-s-what-s-next While that accomplishment would be noteworthy, our focus remains on current circumstances, and striving to find insight that affects your financial future. From trade to jobs to manufacturing and beyond, we have many details to watch on your behalf. Stir shrimp, zucchini, curry paste, fish sauce, basil, and scallions together. Put 1 rounded tablespoon of filling in the center of a wrapper. Wet the wrapper’s edges with water using your fingers. Fold in half and seal. Pleat the seal if desired. Put sealed dumpling onto a floured or parchment-lined baking sheet. Do the same with the rest of the filling and wrappers. Add 1 tablespoon salt to a large pot of simmering water. Cook dumplings in 3 batches, stirring until the filling is cooked through, 3-6 minutes. Use a slotted spoon to move dumplings to paper-towel-lined plate. 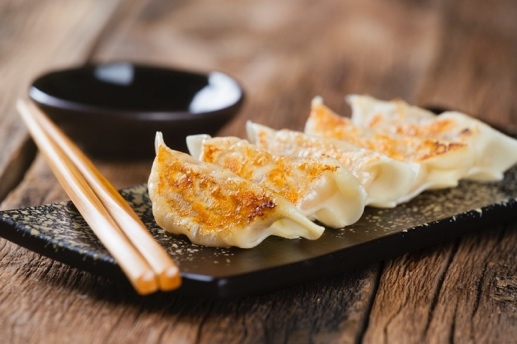 Put in canola oil and pan-fry boiled dumplings until golden brown and crisp, 1-2 minutes per side. Stir water, lime juice, fish sauce, soy sauce, and green curry paste together. What’s the sense in appealing an agency ruling to the same agency that made the ruling in the first place? The IRS allows taxpayers to appeal agency rulings to an independent forum. This is one of the 10 rights taxpayers have in the IRS’s Taxpayer Bill of Rights. Federal rules require the Office of Appeals to be separate from the taxing agency that initially reviews the taxpayers’ returns. To maintain independence and objectivity, investigators with the Office of Appeals will not discuss taxpayers’ appeals with the IRS. Taxpayers who receive IRS letters (notices of deficiencies) must file a petition with the United States Tax Court before paying the additional tax. Taxpayers have the right to fair and impartial appeals of most agency decisions, which includes many penalties. Taxpayers have the right to written responses from the Office of Appeals on its decisions. Taxpayers may refer to the IRS’s Publication 5, Your Appeal Rights and How to Prepare a Protest If You Don’t Agree, for more information on appealing IRS rulings. Taxpayers may file refund suits if they have fully paid their taxes and the agency has denied their refund claim; the agency has not taken action on the claim within 6 months; or, the IRS hasn’t mailed a notice denying the claim within the last 2 years. Your 1st shot kind of sets the tone for the rest of your game. If you get off to a solid start, you can take confidence in knowing your game is going to go well. Knock the ball into the rough or sand bunker, and the rest of your game may take on a sour tone. Get permission from yourself to play your own game, said Dr. Bob Winters, an internationally renowned sport psychologist. Be persistent with yourself: Nothing’s going to spoil your game. Ignore the other players. Once you step up to the tee, disconnect yourself from others and don’t worry about what they think about your game. Create for yourself a safe space. Nothing matters around you. Don’t think about the other people or players on the course. Focus only on your upcoming shot. Decide before you step up to tee what kind of shot you’re going to make. Decisiveness instills confidence. Rehearsal time. Imagine your swing first in your mind. Then do a few practice swings. The real one is merely an expression of the one you’re already created in your imagination. The final strike. You’ve done all the mental preparation. Step up to the tee, and prepare to do the actual swing. Do the swing with muscle memory. Once you finish your swing, accept the results. If you’re on target, that’s good. If not, move on. You have 8 or 17 more chances to improve. Refer you to a specialist when needed. Listen to your opinions and concerns. Encourage you to ask questions. Explain matters in ways you understand. How do you find a doctor to suit your needs? Ask your doctor for recommendations if your doctor is retiring. What about insurance and coverage? Contact your health insurance company for a list of doctors in the insurer’s network. Confirm with your chosen doctor to see if the office accepts your insurance. How Do You Make Your World More Energy Efficient? Here’s a good reason to go energy efficient: You save money on your utility bills while reducing fossil fuel emissions. Energy-efficient appliances that are certified by Energy Star meet the U.S. Environmental Protection Agency guidelines. Canada, the European Union, and Japan also partner with the Energy Star program. Wash only full loads in your dish and clothes washers. Air dry when possible. Unplug your appliances when not in use.